Sound card drivers necessary for the proper functioning of this device. Usually these files are installed complete with the software necessary to control the cost. If drivers do not installed, connect to the Internet and open device Manager of your computer. Find the name of the sound adapter. It will be highlighted with an exclamation mark. Click right mouse button. In the ensuing menu select "Update driver software". After opening new window go to "connect to the Internet to search for drivers". Wait some time until it will automatically find and install the necessary files. Unfortunately, this method does not always work. In such situations, it is recommended to search for the desired files. In the case with a sound card company Realtek you can download the necessary software from the official website of this company. Click on the link http://www.realtek.com/downloads. Hover over Computer Peripheral ICs. Select PC Audio Codecs and move the cursor to the AC’97 or HD Audio (new model sound cards). Select software. In the new menu, select the check box next to I accept the above and click Next. After the transition to the new page, select your operating system and language pack. Download the proposed programme. Install it and restart the computer. If after that sound card started working properly, remove the installed components. Select (AC’97 or HD) and try again. If this method does not work, then download software Driver Pack Solution. With it install the necessary drivers. Typically, the utility automatically determines the files you need. The problem of the sound card will not affect the stability of the operating system as a whole, so you can not create a restore point before installing unverified drivers. 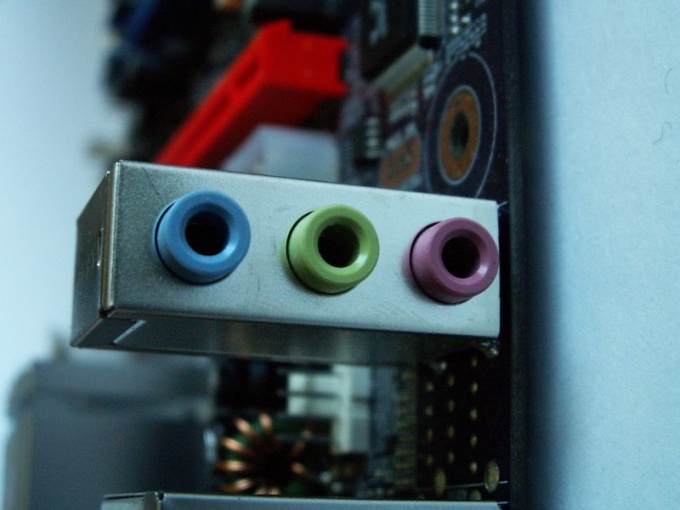 If you are dealing with an integrated sound card, then try first to update the motherboard drivers.